With the revelation, earlier this month on July 4th, that DOCTOR STRANGE was an integral part of ensuring that our nation achieved its Independence (as seen [HERE]), it should come as little surprise that Doctor Strange was commemorated with a limited edition solid silver coin, minted by the U.S. Government (well, the United States Postal Service)! Minted in 2008, and made of 0.7 oz of .999 Fine Silver, this coin, while not legal tender, is a limited edition of the ULTIMATE MARVEL COLLECTION. The coin came with a certificate of Authenticity that doubles as a character information sheet. Unfortunately, they erroneously credited the artwork on the coin as being drawn by Dave Cockrum, when in fact it was by Bill Everett from the cover of Strange Tales # 148. This coin was but ONE of a series of medallion coins and stamp ingots. 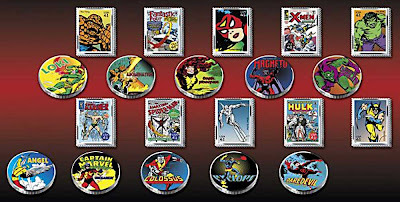 The ingots using artwork from the 2008 Marvel Comics stamps series (which we'll discuss in a post very soon), while the other artwork - on the coins - is from other assorted sources taken directly from the comics. 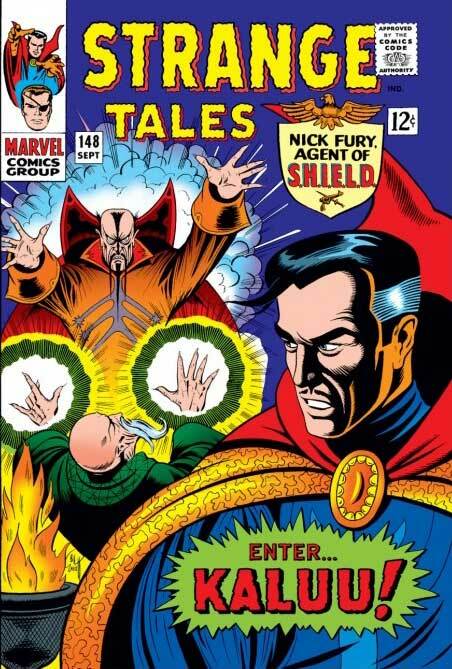 Why is Doctor Strange a part of this series? Well... he was featured as a part of the Post Office's commemorative stamp promotional material (which we shall look at in that aforementioned near-future post). 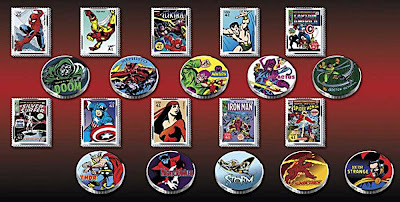 "On July 26, 2007, the United States Postal Service issued a sheet of 20 postage stamps featuring the greatest Marvel Comics Super Heroes, including Spider-Man, Captain America, Elektra, the Incredible Hulk, and the Fantastic Four. Marvel’s Super Heroes have entertained and inspired generations of Americans … providing an escape from every day life and making the world a safer place. 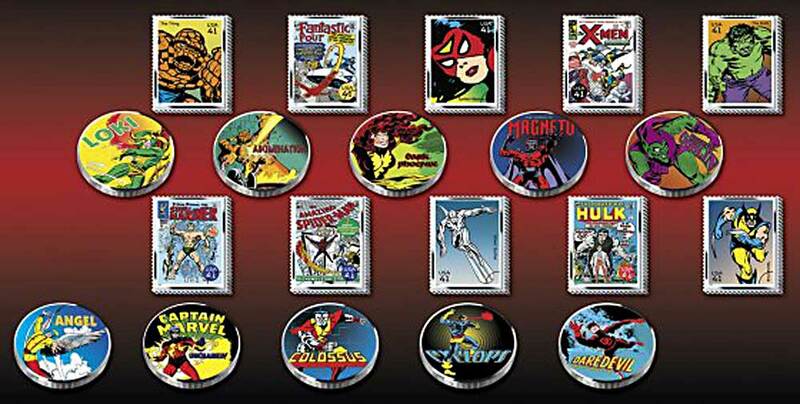 Now, for the first time, the United States Postal Service has authorized each of the Marvel Comics Super Heroes stamps to be minted as a fully colorized solid silver ingot. 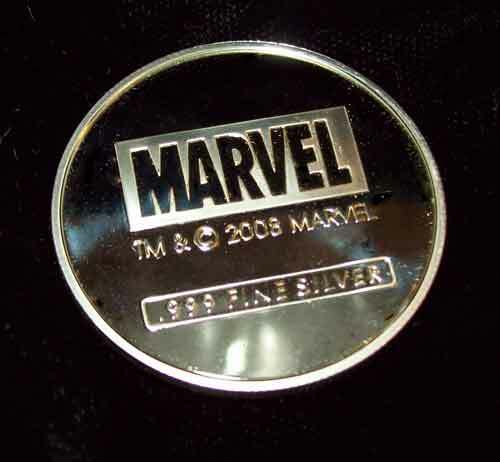 The collection also includes 20 officially authorized pure silver medallions that feature colorized images of famous Marvel Super Heroes and villains like Captain Marvel, Thor, Green Goblin, and Dark Phoenix. 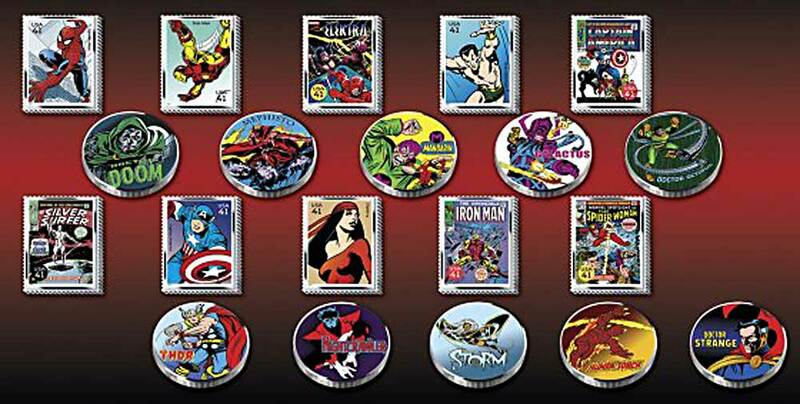 The Ultimate Marvel Collection is the only collection of its kind in the world, and is a strictly limited edition. 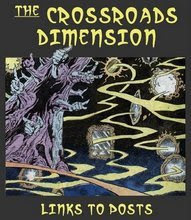 It is officially licensed and authorized by both Marvel and the United States Postal Service." I was aware of this series when it was first announced, but soon found that ordering the items was next to impossible. I eventually gave up, thinking that it was an abandoned enterprise, and it wouldn't be for another 5 years that I would see this (and a few others) listed for sale in an online outlet. Luckily for me, Dr. 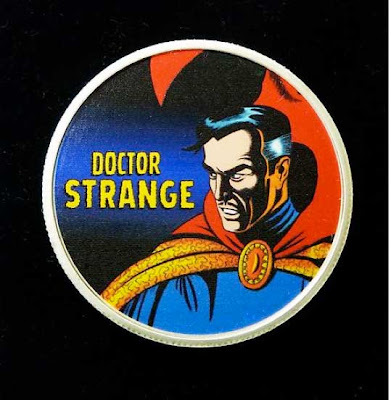 Strange was cropped out of the cover art for Fantastic Four 243 (Everyone vs Galactus, by John Byrne) or else I'd have had to hunt down another of these. This coin is a true rarity. 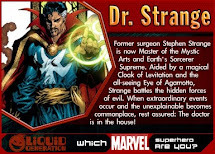 Probably one of the hardest to find Dr. Strange items in the world. Congratulations on tracking this down, along with its official history. Excellent post! You know what's sad? is I work at sunshine minting and I just melted a bunch of coins from this series today including this one. 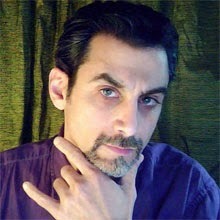 Oh, anon... WHY did'st thou not contact me sooner? Now all I can hear are their cries as they melted. Seriously, dude... that is one of the saddest things I've heard. On the bright side, mine just got a whole lot rarer. Can either of you tell me how much a collection like this is worth? I have some, including a really nice case they came in. Miranda... ebay is your friend (well... sorta). The only way to know what something is worth is either by finding an official price guide (I doubt any exist for this series) OR to see how much people have paid for them before (look for recent sales, as that is the most up-to-date barometer of worth). As with anything (collectible or no) something is only worth what someone else is willing to pay for it. The fact that you don't have a complete set will hurt your bottom line, but only if you found someone who wanted to buy a compete set. 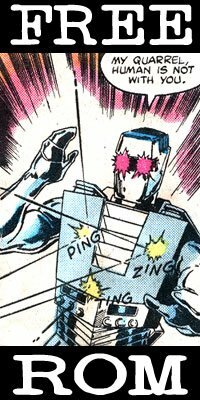 Selling them individually, is usually more time-consuming and you have to understand that some characters will sell for more than others. Sorry I couldn't give you an exact number, but there's really no such thing.